Another "Sorry We Missed You" card waiting on the doormat when you got in? It can be very frustrating when you’ve ordered something on-line and you miss the delivery. 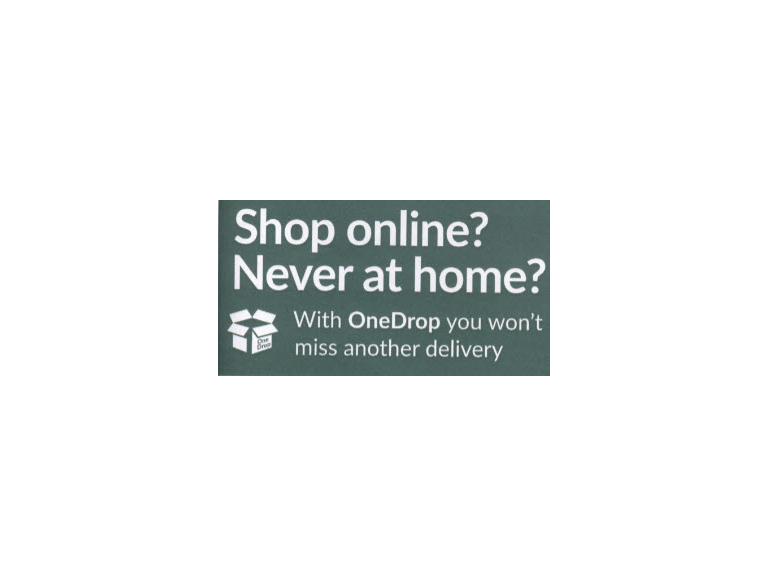 If you are fed-up chasing around after your on-line shopping maybe it’s time to take a look at “OneDrop”, the click and collect service operated by Mail Boxes Etc in Watford. “OneDrop” provides one secure address for all your parcel deliveries so you never have to worry about being in when the delivery van pulls up outside. It means you can shop when you like and collect at your convenience. And don’t worry there’s no more “we will keep your parcel for five days before returning it to sender” the team at Mail Boxes Etc in Watford understand their customers are busy people. • And there are forwarding and returns options too. There are a range of service options available so there is something to suit everybody and rates start from as little as £2 per package plus a one-off registration fee of £10. So why not give the team at Mail Boxes Etc in Watford a call (Tel 01923 418059) or pop in to the shop at 186, St Albans Road, Watford. Mail Boxes Etc (Watford) are a recommended business on thebestof Watford. Click here to view their feature. Daniel Scott, Owner of Mail Boxes Etc Watford on St Albans Road.